With another year of fun-filled memories and growth ahead of us, we also look forward to welcoming the last of the homeowners that 2019 will bring to ONE Mission Bay. Offering a variety of floorplans that are each unique, modern and intriguing in their own way, there is a residence suitable for just about every eager buyer in the market place. 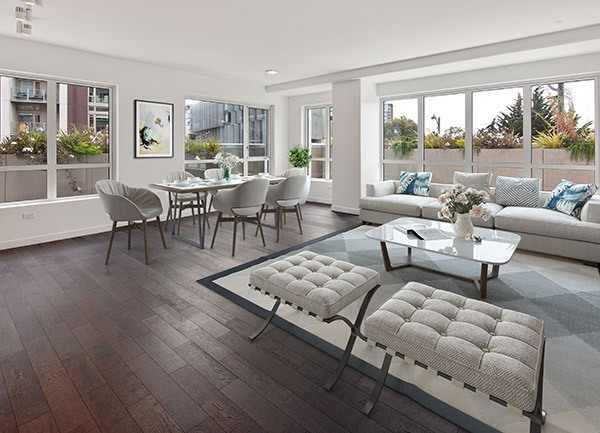 Limited opportunities remain to own in our Park Building, as we are now down to the final 3, with the Tower building offering the remaining units including some of our luxurious penthouses boasting unparalleled views of the downtown skyline, AT&T Park and the Bay Bridge. The final few residences range from a studio, to two- or three-bedroom and penthouse residences, with immediate closings. Although it is difficult to single out only a few units from our grand selection of homes, below is a closer look into some of our remaining inventory. The last of the studios, Park 326 is comfortable and efficient; perfect for city living. This space has all that one would need, plus an expansive outdoor patio to call your own. As one of our last units with a patio, this space is ideal for creating a modern-day retreat overlooking the green courtyard. A gorgeous and spacious unit with direct views towards AT&T Park and the Bay Bridge, is Tower 402. This two-bedroom plus den, shows off a rich dark color scheme bringing out the natural hues of the residence. Located on the amenity deck level of the building, this unit allows for easy access to enjoy from our array of resort-style amenities. For those fond of hosting dinner parties and gatherings, Park 203 is the ultimate residence. Due to its open concept layout, this space is inviting, bright and comforting. This three-bedroom unit is surrounded by greenery as it looks out towards Mission Creek Park and the flourishing waterfall flora. 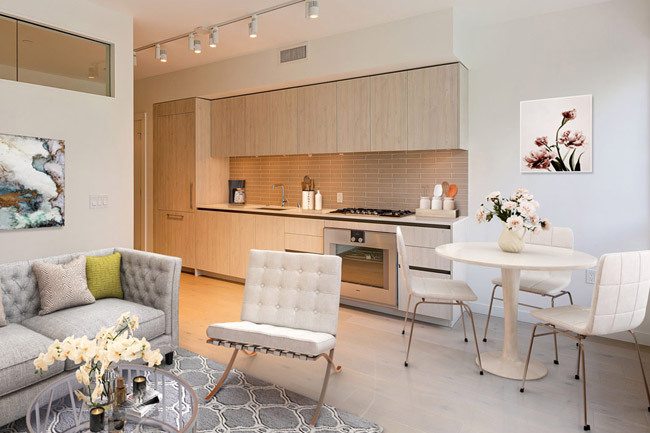 With ONE Mission Bay’s central location making it easily accessible to AT&T Park, CalTrain, UCSF Medical Center, the upcoming Chase Center and of course endless amounts of dining options, there truly is no other development comparable in the city. 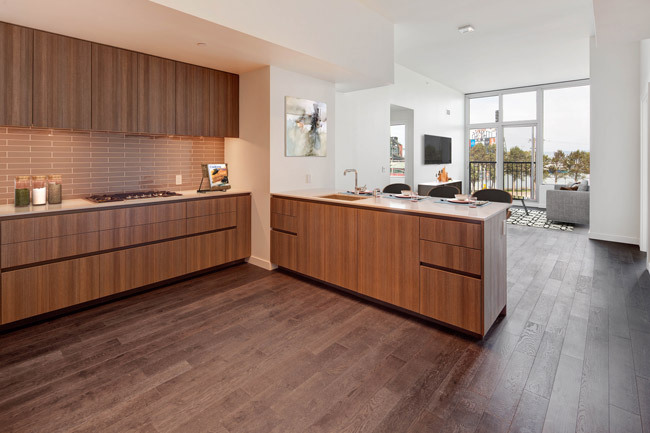 Now is the time to call our sales office at (415) 820-1000 to schedule your appointment, because nothing says “New year, new you” like the purchase of a new home at ONE Mission Bay.